WHAT IF the pharmaceutical drug manufacturing companies are in cahoots with the government? What if, because of their ability to provide huge election campaign contributions, the top executives of the drug companies command an automatic in with top elected officials? What if, in turn, these officials are able to pressure top government appointees, such as FDA decision makers and even the Surgeon General him- or herself, to fast-track profitable pharmaceuticals into the mainstream of medications prescribed by physicians, whether or not the drug testing has proven their efficacy? What if patients die as a result of taking inadequately tested medications? And what if whistle-blowers die when they attempt to make these abuses public? Such are the premises, and so follows the story line, of TERMINAL NEGLECT. As a novel, this book comprises a straightforward narrative of the consequences of one â€œBig Pharmaâ€ company’s profits-at-any-cost mentality. It pits one state’s Public Health czar against the outright criminality of the CEO of a major drug manufacturer. The clash, whose participants include cancer patients, philandering spouses, and White House policy-makers, involves sociopathic views and actions on the part of the CEO, and enormous personal risks to the Public Health Commissioner and his family. While many specific behaviors of these characters are difficult for the reader to accept as plausible, the overall tale of the potentially disastrous influence of one large drug company is intriguingly creepy. 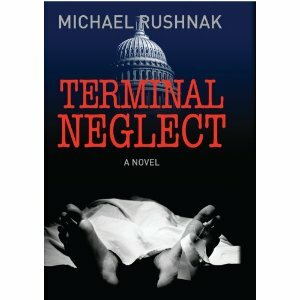 TERMINAL NEGLECT is a thinly veiled morality play, with Health Commissioner Dr. Jonathan Rogers playing â€œEveryman and Doctor’s Choice Products CEO Zach Miller playing Greed. Narcissism, Courage, Lust, Betrayal, and Cowardice also play important roles. The book’s chief value is as an expose of the process whereby pharmaceuticals are approved and introduced onto the lexicon of drugs routinely prescribed by physicians to treat indicated disorders. While it contains no specific allegations against individual entities, or any proof of wrongdoing, it offers the chilling specter of a crucial industry awash in corruption and evil. To the extent that any of Rushnak’s phenomena occur in real life, we all could be at considerable risk from the medications our doctors legally prescribe for us. The moral of this story appears to be that we, as patients, caregivers, or physicians, must not relax our vigilance. At times it may be appropriate to question a diagnosis or a prescription. Most importantly, it is essential to elect honorable public servants who cannot be bought by industry. Â This book is a real eye-opener about a process many of us take for granted, and shouldn’t. A hearty THANK YOU! to PublishingWorks, Inc. for providing a review copy of this book, which may be purchased at www.publishingworks.com . This book looks great! I’m going to add it to my To-Read list!